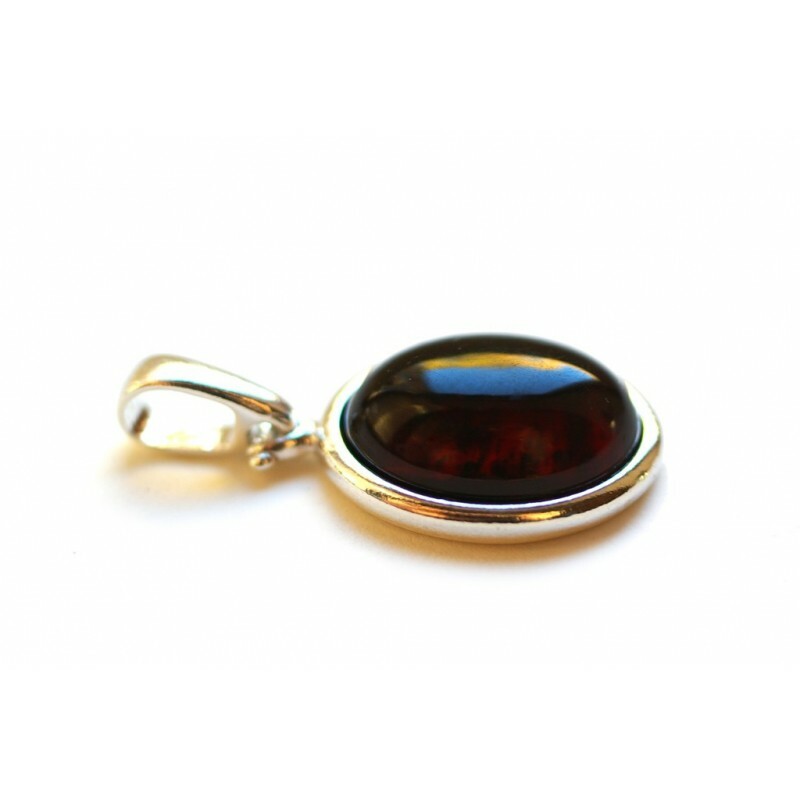 Ripe cherry color, oval shape amber drop. A rich dark amber color contrastingly matches the silver glitter. With its solf shape, oval provides a sense of security, therefore, jewelry of this shape is women's favourite.